The handsome Sergei Breselov stirs something in Benjamin, and to his surprise, his feelings are returned. Despite the forbidden nature of their association, their bond tightens as Sergei heals, and they are again thrust into the thick of war as the revolution rages around them, threatening to topple the Russian court forever. I was really looking forward to reading a WWI love story, since I haven’t read many of those…nor were any of them primarily set in Russia. So I was really excited to read this book! Two soldiers fighting for different armies; forbidden affair in so many ways… Whats not to love? Unfortunately, I struggled a bit throughout the story. I really loved the setting. 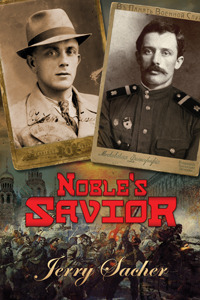 The dark and desolate time in Russia during WWI and the subsequent revolution. There were many detailed specifics surrounding the war and the Russian Revolution, and while I found those pieces interesting, I felt like it took too much away from the romance of the story. It took me a long time to really feel anything of the connection between Benjamin and Sergei. Their early, brief encounter when Benjamin escorts Sergei home felt too forced and superficial to me and I didn’t really see what they saw in each other. In fact, it felt like the majority of their getting-to-know-each-other scenes were “told” and not “shown”. It wasn’t until much later, until their reunion, before I ever starting rooting for a HEA between them. I wanted more of the letters that were shared between Benjamin and Sergei to also be shared in detail with me. I was “told” what was in some of the letters, but I wanted to “see” the letters. I wanted to learn more about the characters’ lives and their childhood. Why was there this connection between them? What did they have in common? I wanted to fall in love with them just as they feel in love with each other. Yes, I know there were no intimate feelings or communications shared in those letters, but I wanted more romance. Share it with me! Don’t just tell me about it. In the beginning, the frequent POV switches kept pulling me out of the story because it felt too choppy. Eventually, I think I just got used to it because it stopped bothering me…but the POV switches were still there and as frequent until the very end. I’m sure that was probably intentional on the author’s part, it just didn’t come across as a smooth telling story for me. By the end, I was totally cheering for Benjamin and Sergei to be reunited. I just had to know how they would ever find their way back to each other; and even though their reunion was totally implausible, it was still a sweet HEA. Now I want to see John Mason get his HEA.